Central banks across Europe’s single currency area stopped issuing the purple €500 bill amid concerns it makes life easier for criminals. The banknote's association with money laundering and terrorist financing has earned it the nickname “Bin Laden" in some circles. 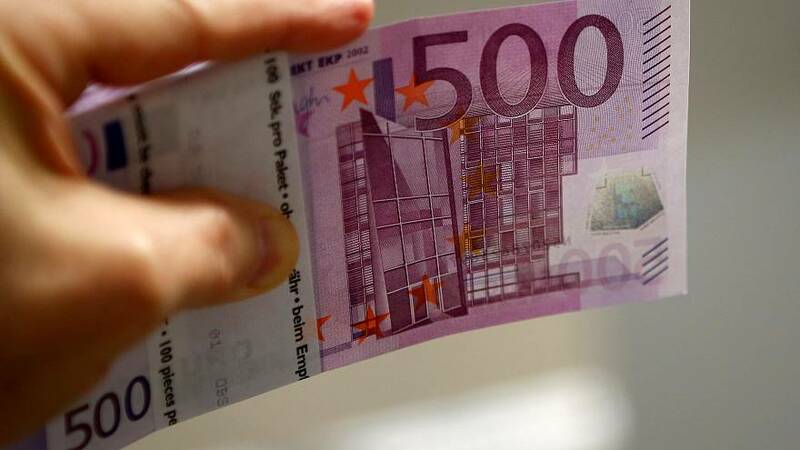 The €500 note makes it easier to transport large sums of money. For example, €1 million in €500 bills weighs just 2.2kg, compared with more than 20kg if €50 denominations are used. Germany and Austria are the only central banks in the euro area that will continue to issue the banknotes. Nevertheless both countries — known for their reliance on cash, especially for the settlement of large sums — will stop issuing the bill on April 26. At the start of this year, there were 521,630,046 €500 banknotes in circulation at a value of €260,815,023,000. While the issuing of the banknote has stopped in most countries, it will continue to be legal tender. Central banks in the euro area will also exchange €500 bills for smaller dominations of the currency for an unlimited period.